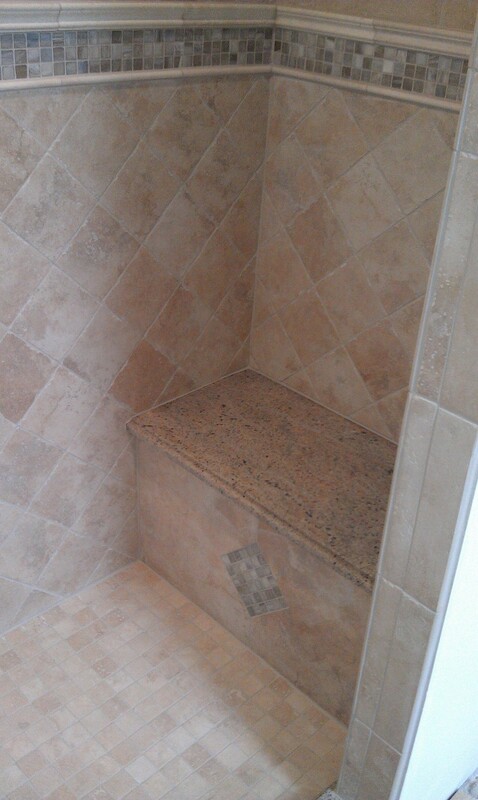 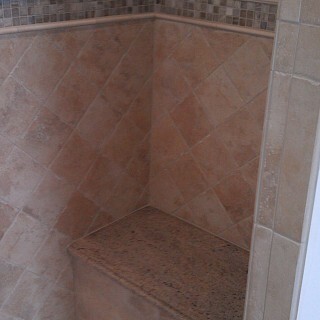 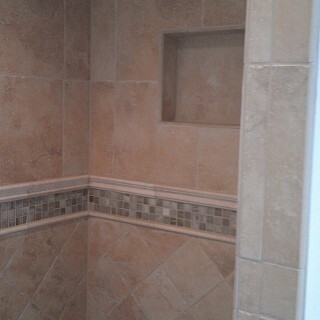 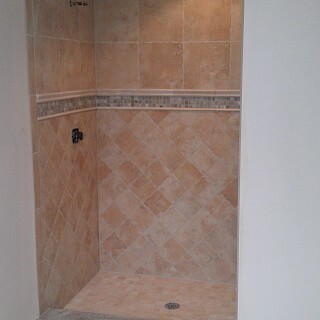 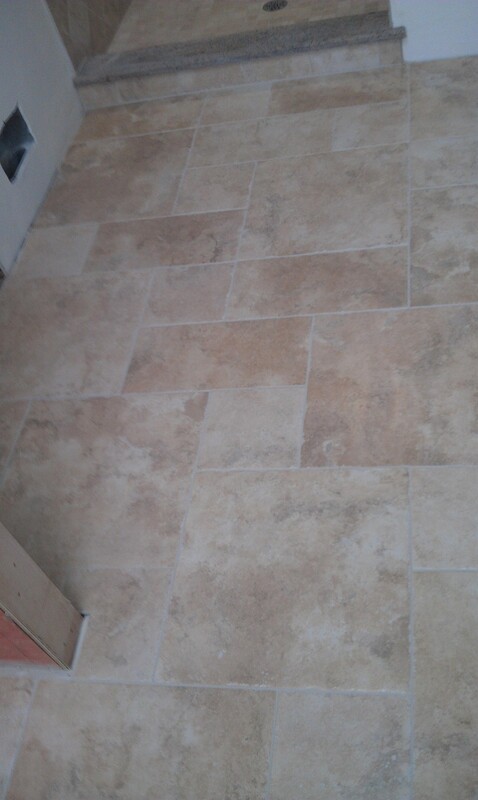 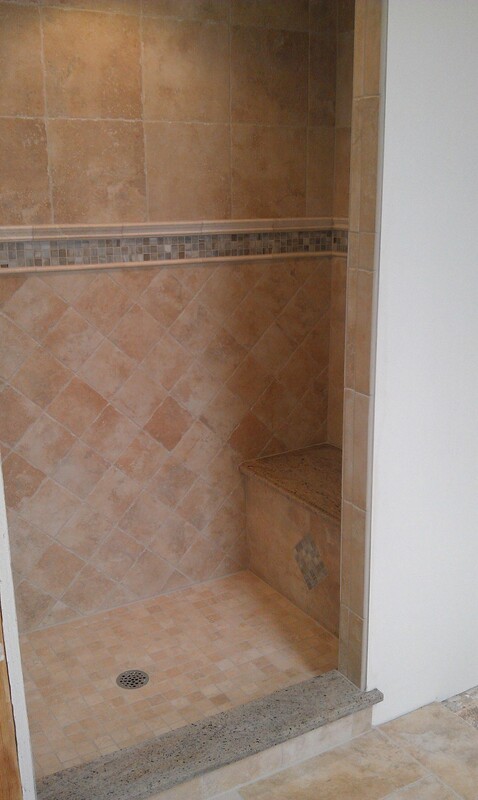 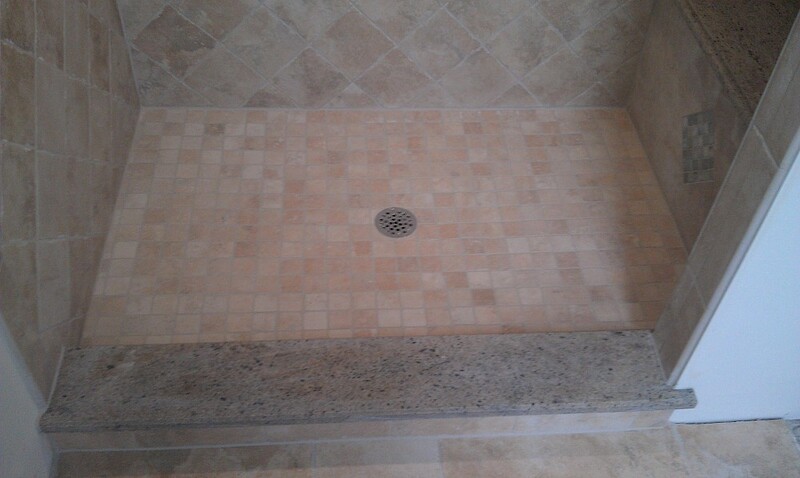 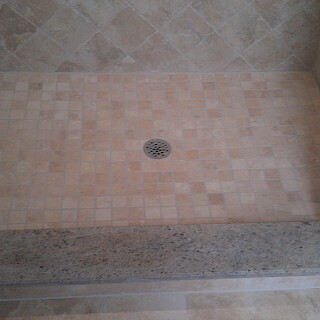 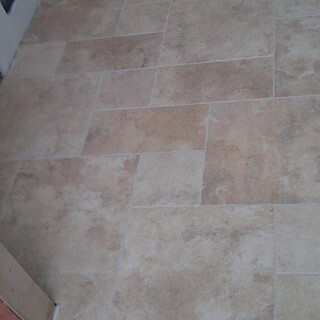 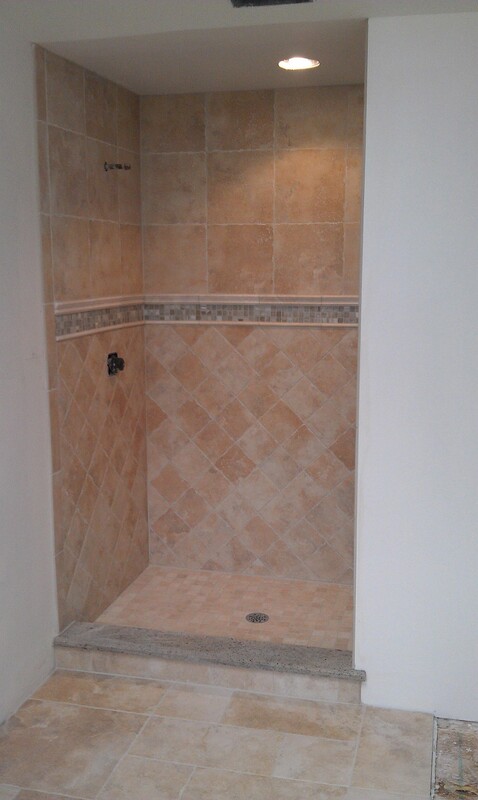 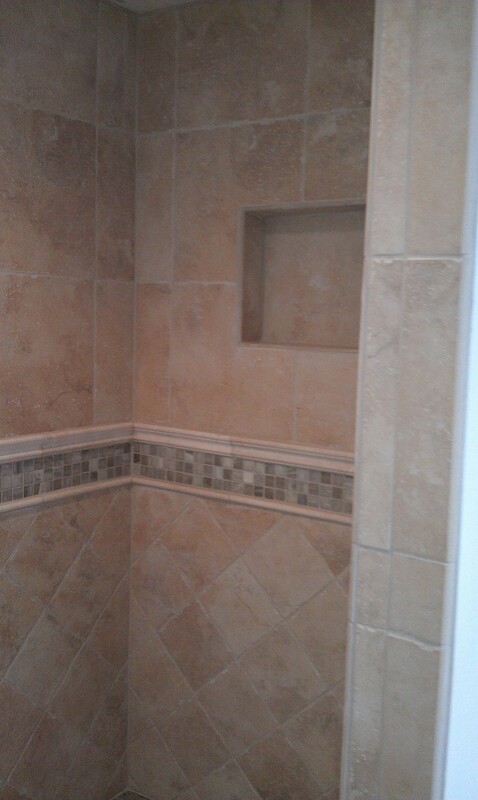 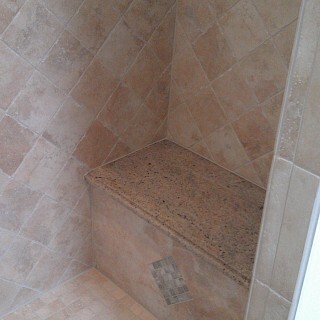 Exemplar Carpentry was contracted by another builder to do all the tile work in this difficult shower in South Lyon. 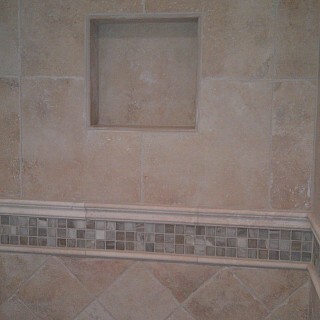 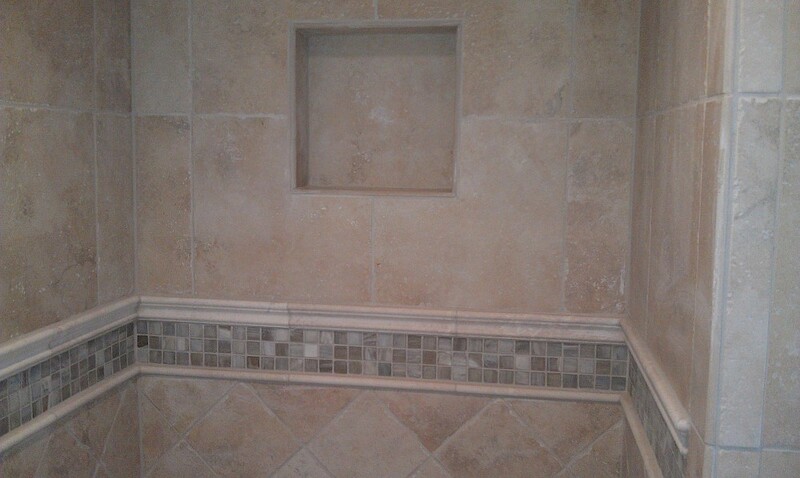 We Started with the installation of a mixed pattern 2x2 ceramic tile mosaic to the sloped concrete shower. 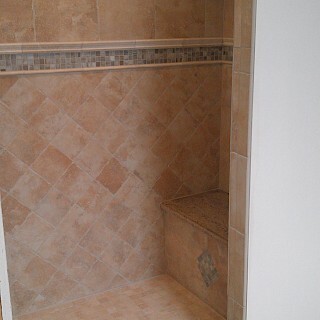 We then installed an intricate diagonal pattern ceramic array across the bottom half of the shower, with a beautiful glass border tile across the middle featuring a granite bench seat. 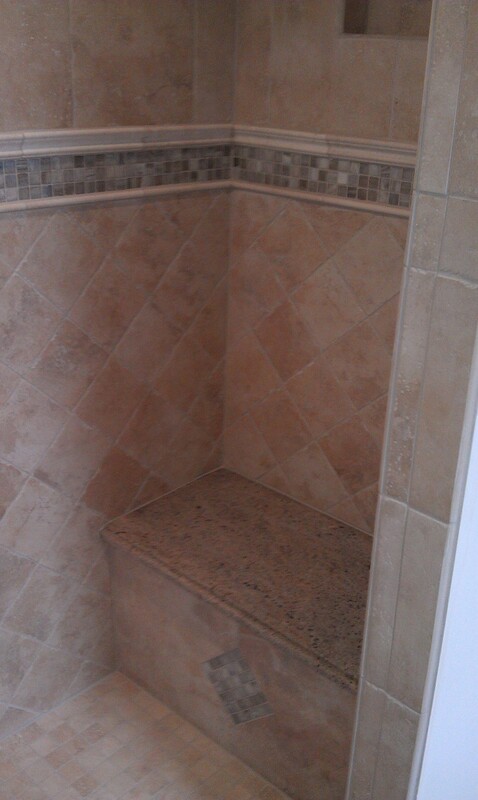 Then a traditional pattern was used on the upper half of the shower with a soap and shampoo shelf added above the bench.